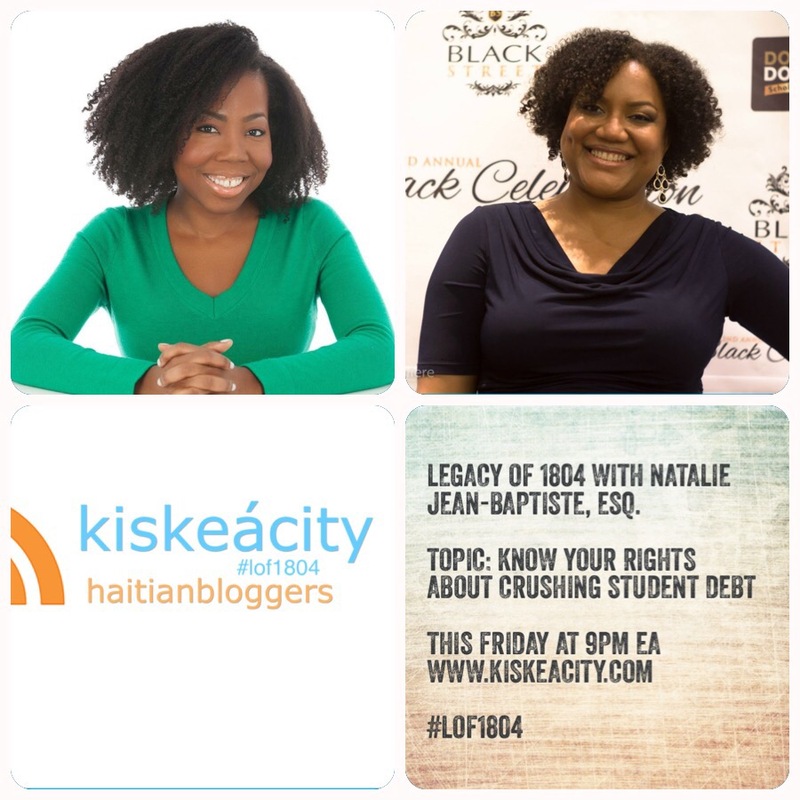 Tonight (Friday) at 9PM guest Natalie Jean-Baptiste, Esq., will share tips on how to deal with crushing student debt. Listen LIVE or Archived at 9pm tonight at http://www.blogtalkradio.com/pancaribbean/2015/08/08/legacy-of-1804-on-conquering-student-debt-lof1804. You can also listen on the phone at (714) 242-6119. Main ressource to see various loan repayment plans available at law : http://t.co/EinrSMtAH5 #lof1804 -- They do not require default!